Britain’s Financial Ombudsman Service, a government body which regulates the UK’s financial service sector and it’s banks, has reported that it has experienced a surge in new PPI Claims. Between July and September 2016, the organisation said that it received 43,000 complaints from members of the general public about the mis-selling of payment protection insurance. The majority of these complaints were from people who had their previous claim for ppi compensation rejected by the banks. During this three month quarter, nearly 57% of ppi claims were won by customers against the banks. PBA’s or Packaged Bank Account claims are the second most complained about financial product after PPI and these sort of claims have seen a rise throughout 2016. PPI continues to be a massive headache for the banks, as new complaints from people arrive every day. Due to this, the banks have had to set-aside nearly £40 billion pounds to cover the costs of compensation, plus employ thousands of staff to handle and process these complaints. The main City regulator, the Financial Conduct Authority (FCA), has proposed June 2019 as a cut-off point for any new complaints to be lodged with banks, but the claims continue to pour in, both from individuals and claims management companies. Recently Barclays set aside an extra £600m for compensation costs and Lloyds Banking Group put aside a whopping £1bn extra. The league table is dominated by the UK’s big High Street banks, which mis-sold the insurance polices for the best part of two decades. 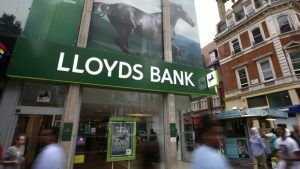 Lloyds has now set aside more than any other bank, at £17.1bn, followed by Barclays at £8.5bn, RBS at £4.7bn and HSBC at £2.9bn. Since the start of 2003 the Ombudsman has received 1,445,000 complaints about PPI mis-selling. But the floodgates opened in 2011 when the British Bankers’ Association (BBA) lost a High Court challenge to a decision of the former City regulator, the Financial Services Authority.